This is a guest post by Eyal Katz. Eyal is Head of Marketing at AdNgin a testing and optimization platform that allows publishers to increase ad revenue through continuous and automated testing. Digital innovation is happening everywhere… and that includes ad monetization strategies. But here’s a cautionary note: we have to be mindful not to abandon what works just to try something new and exciting. And Google AdSense still works. Successful monetization is measured in revenue, not excitement. Even though Google AdSense has been around for 12 years, it’s not going to be easily displaced. If you’re a publisher, it still remains as one of your best and most reliable options. At Adngin we’re always advocating for publishers to explore and test new ad configurations – and alternative monetization strategies too. That’s what we do. But we simply cannot ignore the elephant in the room. AdSense is a true behemoth of an ad network. No argument there. Meanwhile, the immensity of the data they collect gives them huge advantages in continually improving and locking in their leadership position. 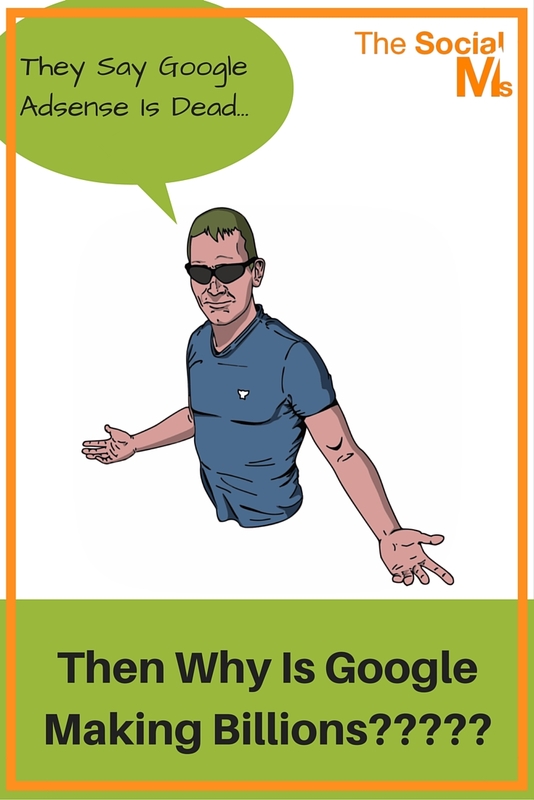 If someone asks you why you’re still using AdSense, what would you say? It can be tough when you’re caught off guard and put on the spot. When we thought about that very same question, we came up with 5 compelling reasons. Here’s why we’re still super bullish on AdSense. If you’ve figured out how to drive traffic to your content, then you already figured out one of the biggest challenges in online monetization – or lucked out somehow. But traffic doesn’t arrive just to drop off money for you. With the lack of a specific monetization strategy you’d like to try, it’s going to be very hard to beat the ROI of using Google AdSense. An easy install and you turn things over to Google to do their ad “magic”. Aka the immensely successful results that come from big data. Remember, AdSense is constantly analyzing, bending, and shaping data to maximize billions in revenue. With a “b”… billions. All the power of that research is handed over to you when you drop the snippet into your website. As the Wall Street Journal headline said: “In Online Ads, There’s Google–and Then Everybody Else”. We might think that’s just a well written headline. But then we can put it into a little more compelling perspective. Get this. Global spending on digital ads will surpass $170 Billion in 2015. And Google will control 55% of that spending. So if the bulk of ad spending is going through Google, that can drive up CPC bids (and your revenue). But it also gives Google’s algorithms the incentive to only give you the ads that will convert best. We’ve written before about the negative effects of banner blindness and ad blockers. I can tell you what the wrong move is. If you experience a downturn in your AdSense earnings and decide that it’s dead – then you’ve made a mistake. There are many permutations of Google AdSense setups to test. At the very least, you can experiment with new ad placements with a little trial and error. But it would be disingenuous for me to hide what I’m thinking. 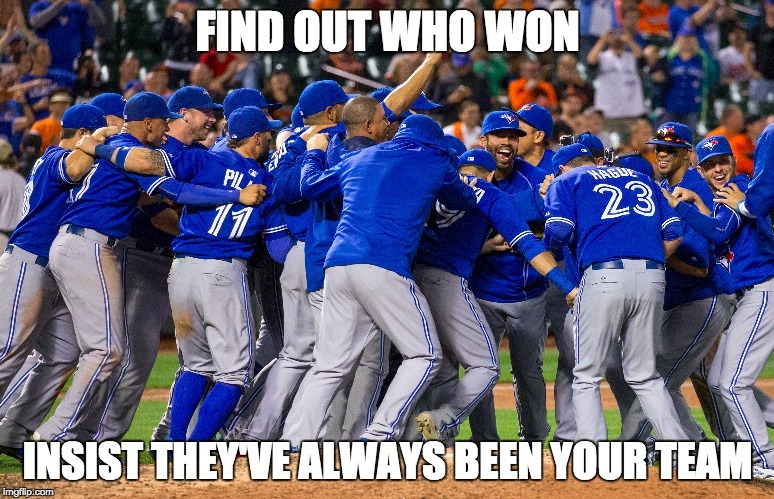 If you know a little about our team, then you can probably guess! Adngin is one of the best solutions here. Our testing process will let you find ways to improve your ad revenue and user experience. Don’t just abandon the top ad network because of downturn that rattles you. That’s too premature and may not leave you with alternatives that will perform any better. Google isn’t done with core search. In fact, they are actively planning for its future. And as search gets more powerful, so too will their AdSense ads and performance. You have to realize the direct association between core Google search and AdSense ad determination. Context is key and that is what Google is going after. Analyzing a user’s intent (with search), or a page’s contextual meaning, is the gateway to better ad matching. We just can’t imagine any other ad network being in a better position to continue innovating on ad selection and effectiveness. The better the contextual match, the more ad clicks. But also the better results advertisers see for their investment. When clickthrough rates and CPC bids both improve, that means great things for all AdSense publishers. Radio and TV hasn’t disappeared. But they are evolving. As committed as we are to seeing new technologies emerge, the big players don’t just fall over and die. So if we decide to think of Google as a sort of veteran ad network, we might be inclined to actively look for the next big thing. But Google AdSense is only 12 years old and on an upward trend. Even if the competitor that could overtake AdSense was already out there, it is not going to happen overnight. It’ll have to be more of an erosion-like process. Continue trying out new technology and testing ad configurations to see what else might work. 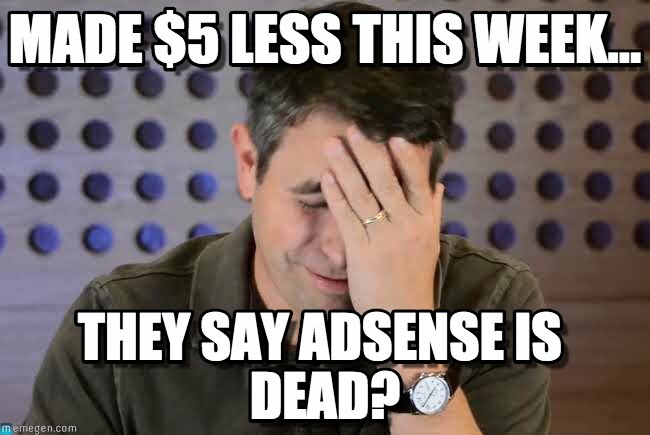 But don’t give up on AdSense too early. You might find yourself on the wrong side of a $170 Billion market, half of which is still getting invested directly into Google’s ad programs. Big data is much of what is behind AdSense’s expectation to continue dominating digital ads – and results for publishers. But the word billions seems to command more immediate attention. So let’s think about it with a little napkin math. Split that number in half. Google is fully dominating the market. They have the best data and the resources to hire some of the greatest experts in the world of digital advertising. Having a little confidence in AdSense’s future isn’t a bad bet at all. So if we can offer one key takeaway here: it’s too always test in order to optimize your ad. Have you ever observed a downturn in your Google AdSense revenue? Tell us what your strategy was to fix it. Did you test new configurations or just abandon AdSense and replace it?